We started with chicken wings stuffed with sticky rice. The sticky rice was well-seasoned, with little bits of sausage and a good amount of soy sauce that it wasn’t drenched. 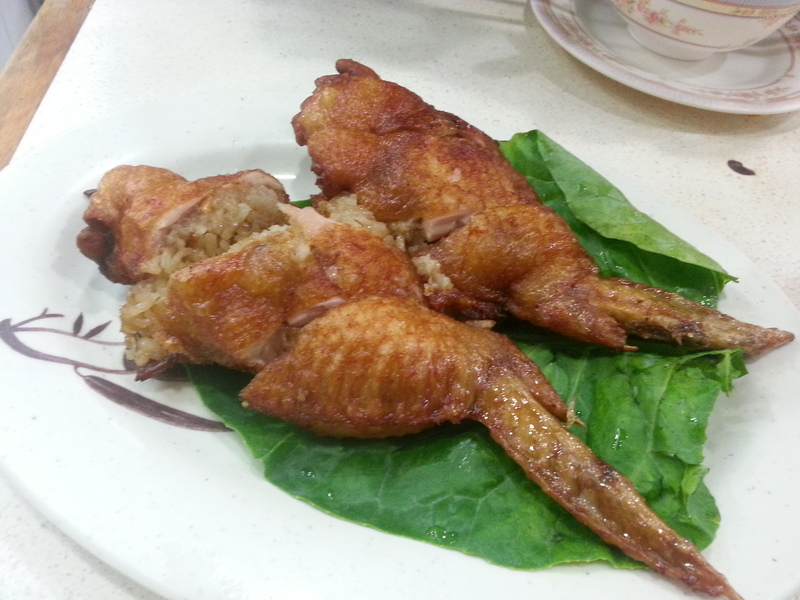 The chicken was fine, slightly dry but the skin was not crunchy. The even-stickier sweet chili sauce that dribbled over the saggy skin was barely recompense. I’d pass on this next time. For vegetables, we were informed that they were out of cabbage sprouts.. and out of morning glory. Leaving us with kale. Kale with garlic. This was – again – fine, if but a tad undercooked for stems. 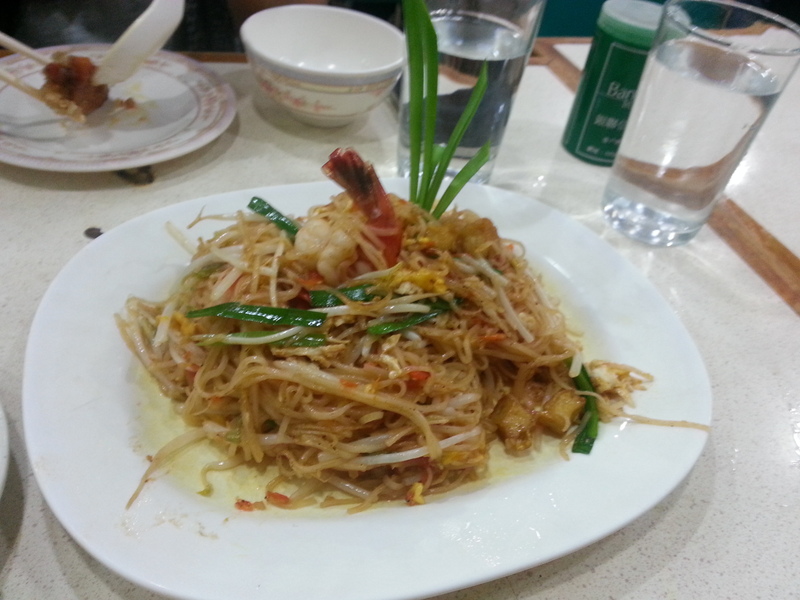 The Pad Thai was one of the better ones I’ve tried, with big prawns. Unfortunately, it lacking the texture you’d usually get from some crushed peanuts, and terribly underseasoned… so we smothered this with the sour Thai chili sauce. As is usually our custom, anyway, so no harm done, I suppose. Around this time – after managing to grab the aunties’ attention (a rare feat) and asking twice – we finally got our drinks. The mango lassi/slurpee Kowloon City standard was great, even if it was half an hour late. Just in time for the long-awaited salt-grilled Garoupa: Pulling the salt-decked skin back revealed soft, moist and delicious white flesh. 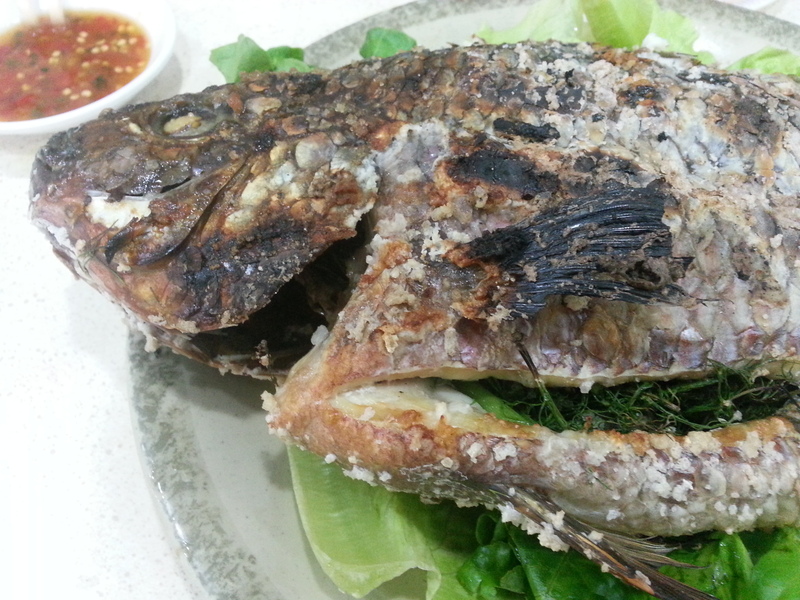 Stuffed with Thai basil, dill and lemongrass, the herbs infused into the grilled fish really well and we could not stop ourselves from devouring the whole thing. This was a nice note to end on, but we were expecting much, much more. I also made the mistake of using the toilet there, and noticed how messy the kitchen was from the back. With overflowing rubbish in cardboard boxes being dragged wet along the cardboard-laden floor between the claustrophobic kitchen and mucky squatter toilet, I wasn’t sure this was the best environment to be ordering that raw Thai shrimp. I’m all for dubious, risky hygiene standards if the grub’s good enough, but this wasn’t good enough. Our bill came up to about $350, which is usually just a little shy of what we’d pay at Tai Mei Tuk. We had to walk up to the cashier counter to get them to get a move on with our bill (it was just sitting on the counter with no one working to be seen). In conclusion: really terrible service, as some Openrice reviewers observed also. The whole experience was a little infuriating. Save your money, keep your cool: if you want a Thai meal in the (only-slightly cheaper) Kowloon City, just head to the Cooked Food Market. 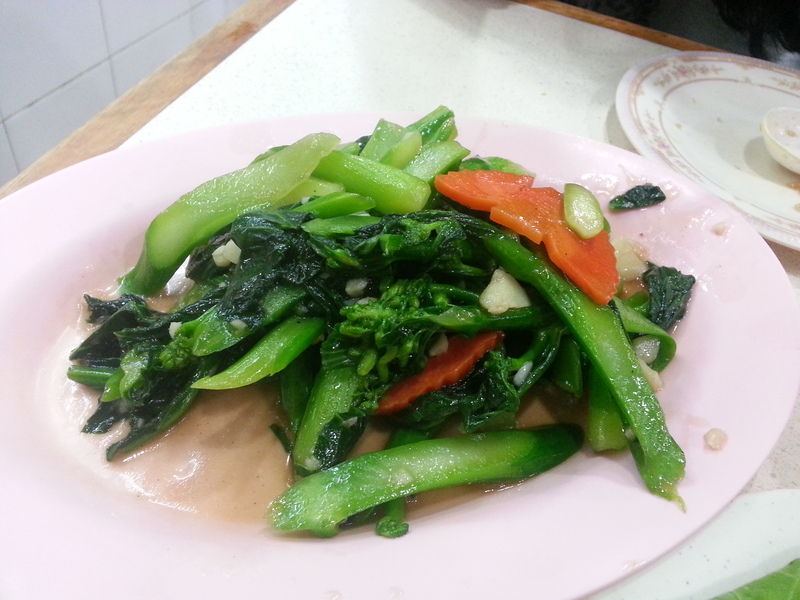 Otherwise, my conclusion for Chung Shing still stands; head to Tai Mei Tuk for the best Thai food in Hong Kong. Note: I am willing to give Kowloon City a third and final chance – if anyone has recommendations for somewhere better than the above, please get in touch.